The Mount Brown Fire Lookout in Glacier National Park is significant as one of a chain of manned fire lookout posts within the park. The low two-story timber-construction structure with a pyramidal roof was built in 1928. The design is a standard U.S. Forest Service plan. Here's the our members favorite photos of "Historic Houses in Glacier National Park". 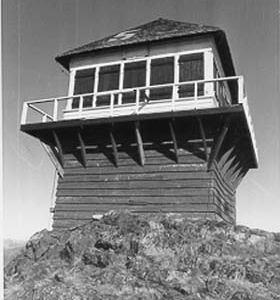 Upload your photo of Mount Brown Fire Lookout!